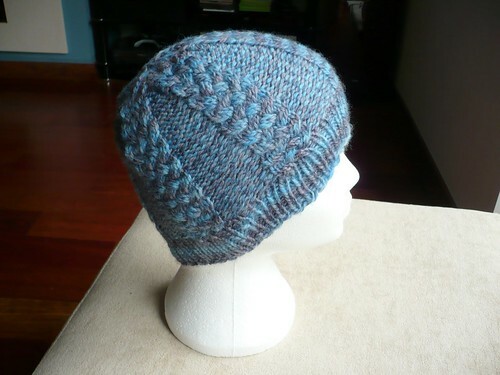 If you haven't done so already, you can still download the Knotted Cap pattern for £1 until midnight on Sunday 20th (that's UK time by the way) if you use the discount code JAN13KAL. This is quite a saving. If you buy the pattern, and got started fairly soon you could even have time to join in with the knit a long. There are some nice prizes to be won. You can read all about it in my blog post from earlier in the month or on the Stitched Together Designs Ravelry Group. We'd love to see you there if you want to join in the chat!